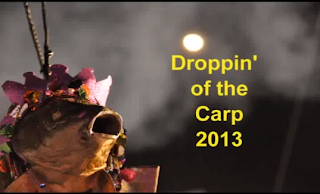 2012 Droppin' of the Carp. 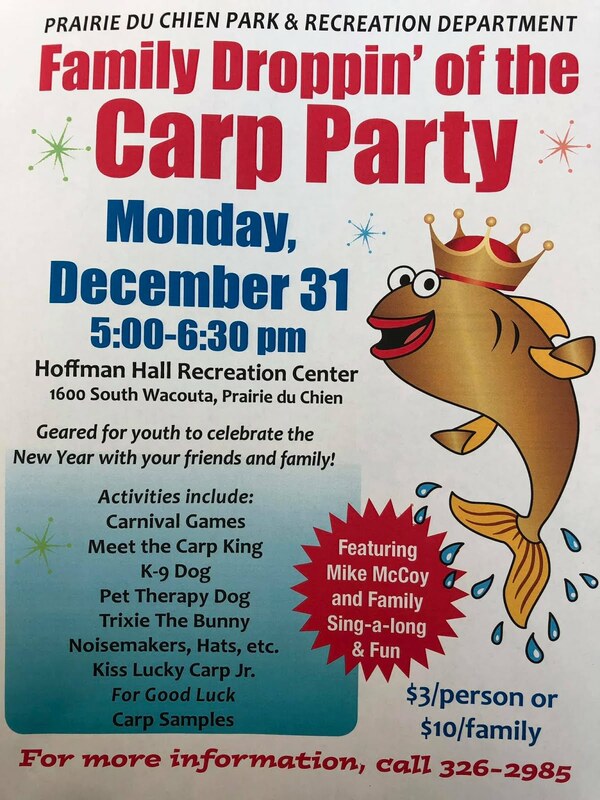 Carpfest, Prairie du Chien Parks and Rec Dept. Tags # 2012 Droppin' of the Carp. 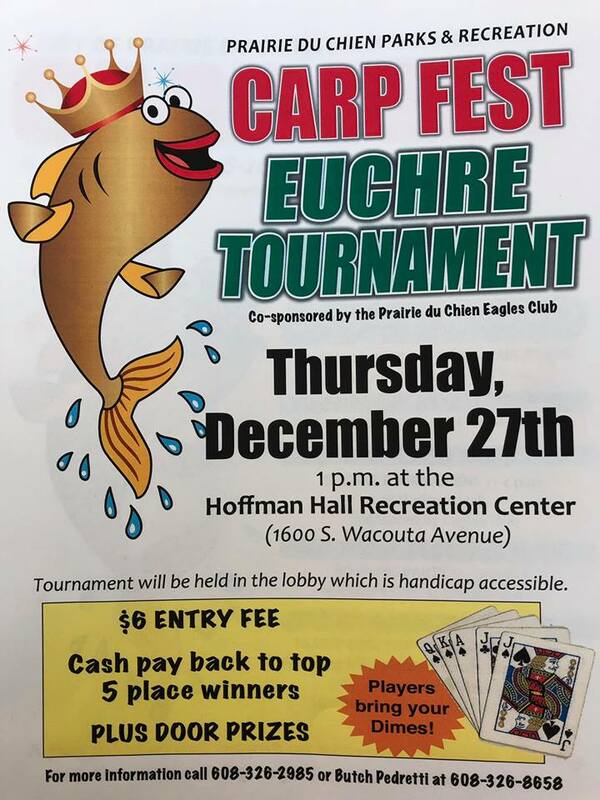 Carpfest # Prairie du Chien Parks and Rec Dept. Labels: 2012 Droppin' of the Carp. 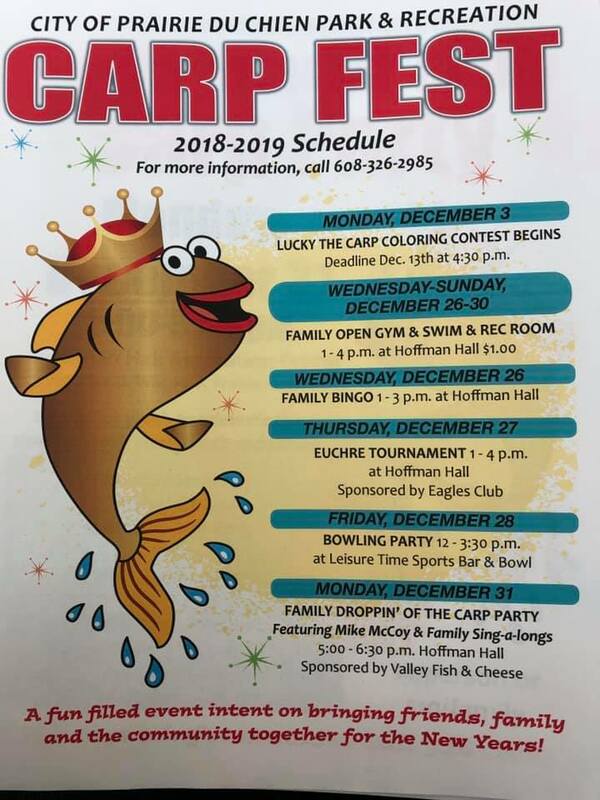 Carpfest, Prairie du Chien Parks and Rec Dept.